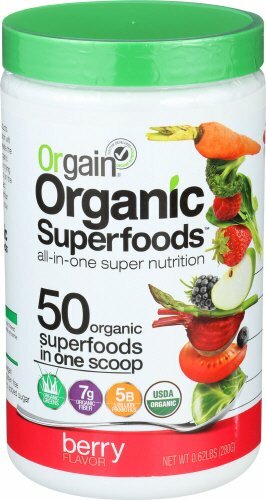 On Amazon.com where you can clip a digital coupon to save $3 off Orgain Organic Superfoods Vegan Powder. 有机超级食品素食粉 Orgain Organic Superfoods Vegan Powder $14, Clip the $3 off digital coupon, Choose to Subscribe & Save (save 5-15% + get free shipping), Final cost only $10.30 shipped! This superfoods powder is packed with 50 organic superfoods in every scoop – providing a healthy mix of organic greens, veggies, fruits, and sprouts that can be conveniently added to water, juice or smoothie.